This year bowlers have a unique opportunity to see both the Men's and Women's World Bowling Championships being held in the UK. The men's championships are being held in Ayr (Scotland) July 23rd - August 7th and the women's championships will be held in Royal Leamington Spa (England) 3 - 17th September 2004. World championship events are held every four years. Originally, the women's championships were due to be held in Malaysia, Kuala Lumpur. 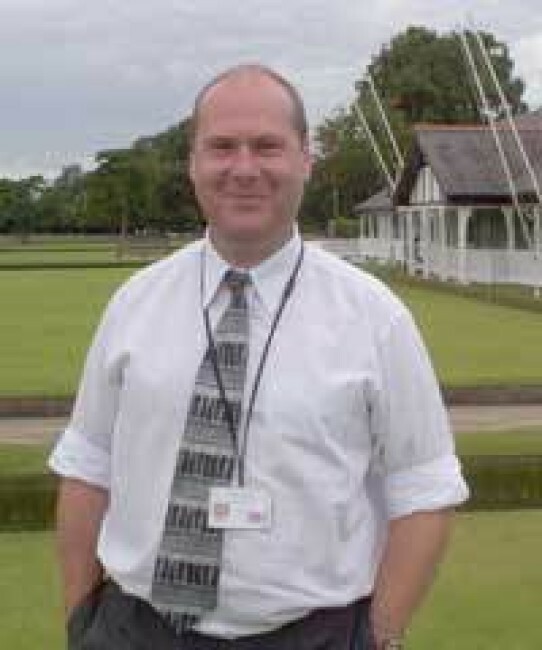 However, back in September 2003, during final preparations for the tournament, the world's governing body of bowls were forced into changing the venue due to political reasons. The resulting outcome was that England was given the opportunity to host the games. However, it has brought a long a few headaches. Due to the short notice, it has not given the EWBA enough time to secure adequate funding to pay for team expenses. The host country has usually, in the past, paid for accommodation and expenses for all participating teams. Due to the change it was decided that travelling teams would have to pay their own way which, unfortunately, has meant that a couple of the teams, the Cooke Islands and Samoa, will not be attending. However, there are still 29 teams competing, and each team will be sending 5 players and a manager, with teams competing in singles, pairs, triples and fours competitions. Pauline is confident the greens will be ready, even though they have had only nine months to prepare, compared to the last time they were held at Royal Leamington Spa, when the Council had three years notice. 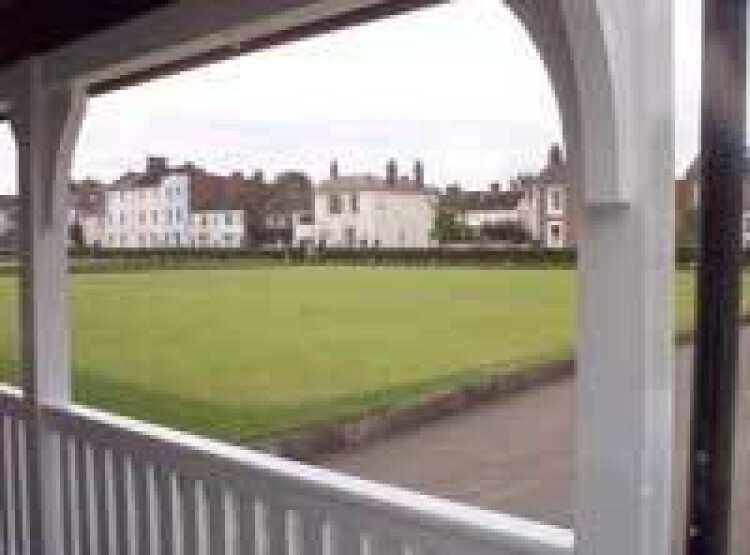 The bowls venue is situated in Royal Leamington Spa's Victoria Park. The facility boasts five bowling greens and a pavilion that provides catering, toilet and changing room facilities. 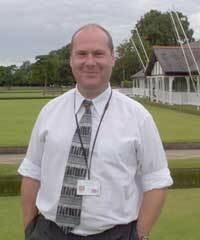 The facility is managed by the Local Authority, Warwick District Council (WDC). 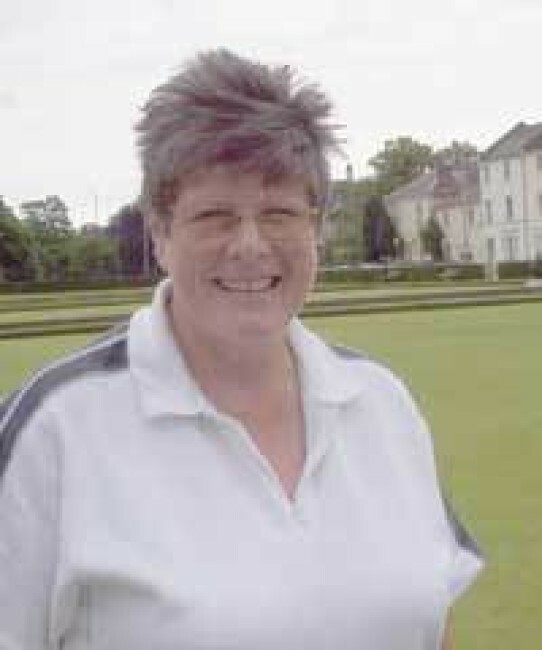 Pauline and the Council have been working tirelessly to ensure the event goes smoothly and all the activities and structures are in place for the championships. This not only involves the maintenance of the greens but also sorting out all the accommodation and travel arrangements for the teams, and erection of seating, stands and toilets around the site. The Council have recently awarded their grounds maintenance work to private contractors, Glendale, who previously held the contract 1998-2002. Glendale supplies all the machinery and labour to maintain the bowling greens and are currently working under a performance specification. 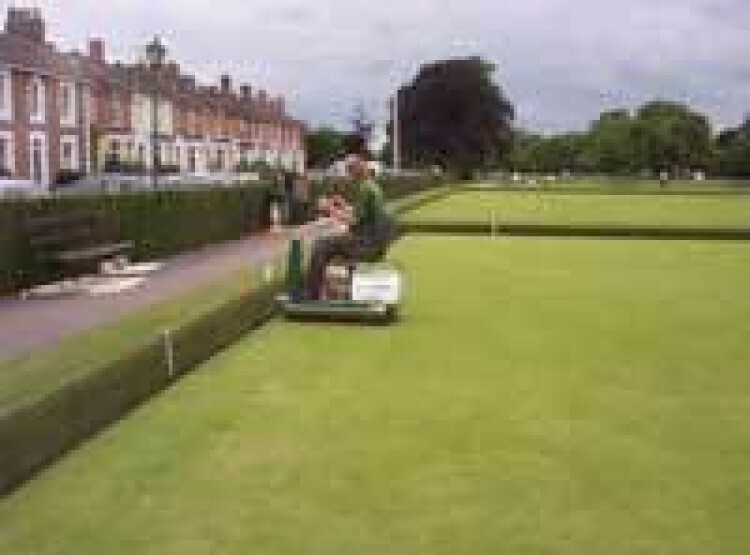 Glendale employs a dedicated team of people to maintain the bowling greens, with Kevin Gibney the team leader responsible for the all works carried out in Victoria Park. 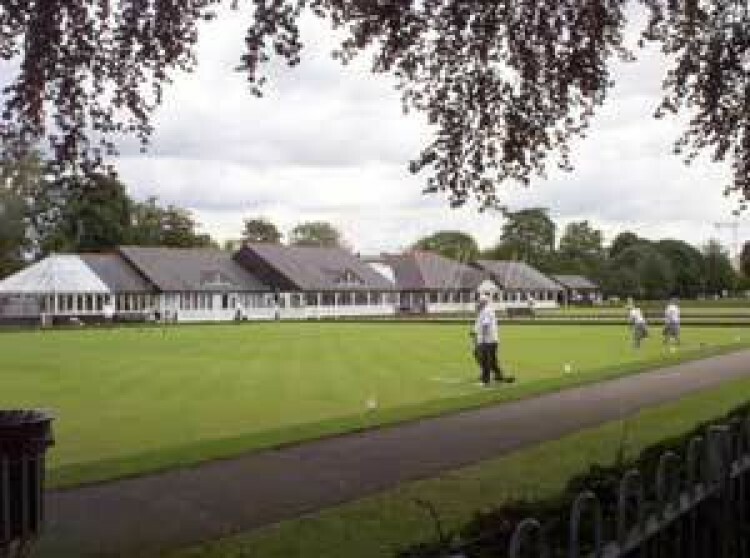 The bowling facility is Council run and is open for public bowling; the greens are open from 10.00 am each morning and close at dusk. Having five greens enables the Council to rotate the wear and play, often taking one out of play to allow additional maintenance operations to be carried out - spiking, watering, grooming and top dressing. All five greens have a pop up watering system, with 8 sprinkler heads allocated for each green. The water is drawn from the river Leam, filtered and stored for use. Watering is usually applied in the night, taking two cycles to complete the programme. However, watering the greens using this system has proved to be troublesome. Graham said " We have to ensure the water is filtered prior to use, unfiltered water tends to lead to blocked solenoids and pumps. We are currently looking at getting a mains system in the near future." The last fertiliser applications are now being applied, allowing enough time for the product to kick in and be used up by the plant. 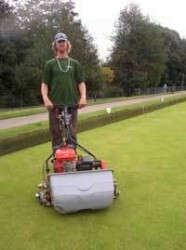 It is important not to have too much lush new growth as this can affect bowls speed on the greens. The greens are currently being maintained at a height of 4.5mm but will be reduced to 3mm depending on the conditions at the time of the championships. Pauline is keen to promote the role of the English Women's Bowling Association which, in size, is a small organisation compared to many other Bowling Associations. The EWBA role is to represent all the clubs in the country, organising all club and county competitions and representative games. Pauline believes it is important to keep in touch with the game at its grass roots level and, where possible, continue to promote the sport. The opportunity of staging a world championship event in the UK should stimulate and raise the profile of women's bowling in the UK.